Irene, 22, is a third-year Economics student here at SNU. 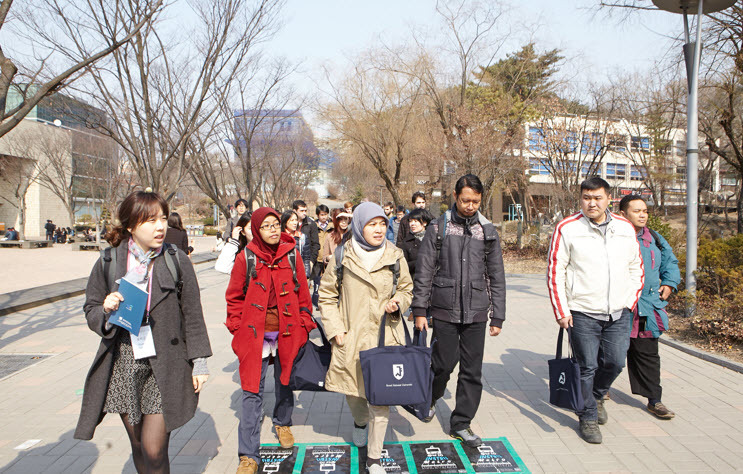 Granted a scholarship from the Korean Government Scholarship Program (KGSP), Irene came to Korea from Malaysia to pursue her post-secondary education. According to her, finding three meals a day to accommodate her dietary needs is one of her greatest difficulties. This is due not to a shortage of money, but to a lack of accommodation of her dietary needs as a Muslim adhering to a halal diet, one which is not offered in any SNU’s 25 restaurants. To better accommodate the Muslim students at SNU, a halal restaurant may be opening soon on Gwanak campus. Although the details of the restaurant have yet been decided, a report written by Professor Oh Myung-Seok of the Department of Anthropology had a heavy influence in the development of this latest project. In his survey, 98 SNU Muslim students were asked about their biggest challenge at SNU. 74% responded with “food” while 22.4% responded with “lack of space and time to pray.” This is in stark contrast to the number of students who responded with the judgment of other students or wearing a hijab as their greatest difficulty. The report also states that 53% of the Muslim students home-cook all three of their daily meals. Since the SNU dormitories do not offer sufficient facilities for the students to cook, it is common for them to live off-campus. Professor Oh states, “SNU has made efforts in recent to establish itself as an international institution by drastically increasing the number of international faculty and students, but there is a lack of consideration for accommodating their living conditions.” According to the Office of International Affairs, in 2000 the number of international students who received KGSP scholarship was 257, and this number dramatically rose to 1334 in 2015. As the restaurant will be on campus, the executives behind this project are in the brainstorming stage to try and make the restaurant appeal not only to Muslim students, but also to all members of the SNU community.